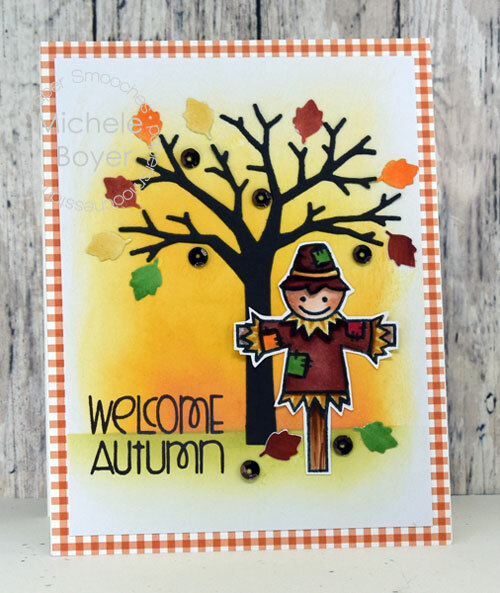 Today I’ve used Autumn Groves stamp set with Fall Tree die by Paper Smooches. I first taped off a section at the bottom to sponge in a grass area then shifted the tape down over the green to spone in a sky. 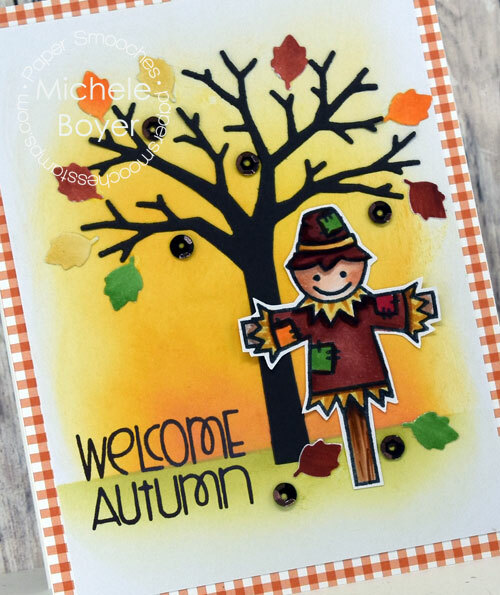 After adding the leaves (which were colored with Copic markers, listed above), I adhered a few brown sequins.